First things first: you still have a few days to join #MBUstorm: Brainstorm daily to build your blog, exposure, traffic, brand and get a chance to win $1000! Today we continue building the ultimate crowdsourced resource for new (and established!) bloggers that we will one day turn into an eBook! Now that we’ve covered the on-site basics, let’s talk about building your community and becoming well-known in your niche. We’ll start with most essential, best- and fastest-working tactic that works for everyone: Promoting your promoters! These are your best connections: They already know you, they thought you were worth promoting, so they are likely to follow you back and remember you. So every time you publish an article online, make sure you follow and thank (either in words or by plussing, liking, favoriting their updates) each of your promoters be it a so-called influencer or a newbie like yourself. Another good idea is to try to link to articles featuring you or your product and use social media tagging so that your promoters always know you love them! Finding your promoters maybe not an easy task to do! Don’t be lazy: If you have spent time writing that article, making the most of that effort makes total sense! 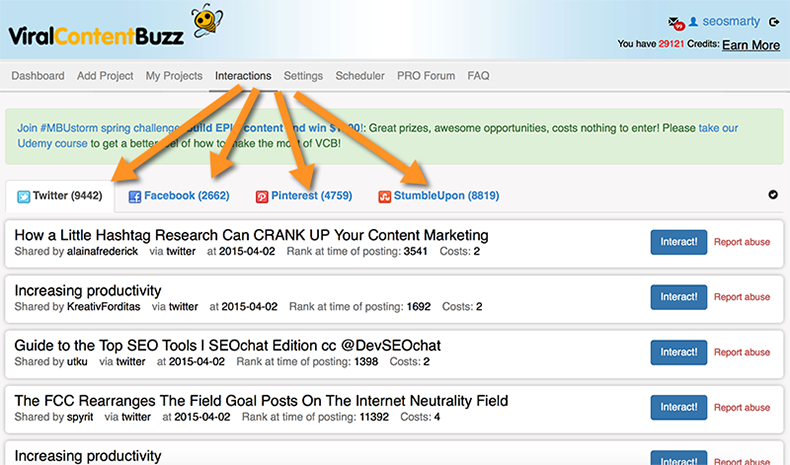 I use @BuzzSumo to receive an email alert every time anyone mentions my name OR mydomain.com. Another great tip is to create Twitter lists (and Google Plus circles!) with everyone who has ever promoted you to keep more in touch! Ok, our guide is intended to both new and established bloggers. We realize that there are not too many promoters when you are starting (your mom doesn’t count). But that’s what we are building our tools for! 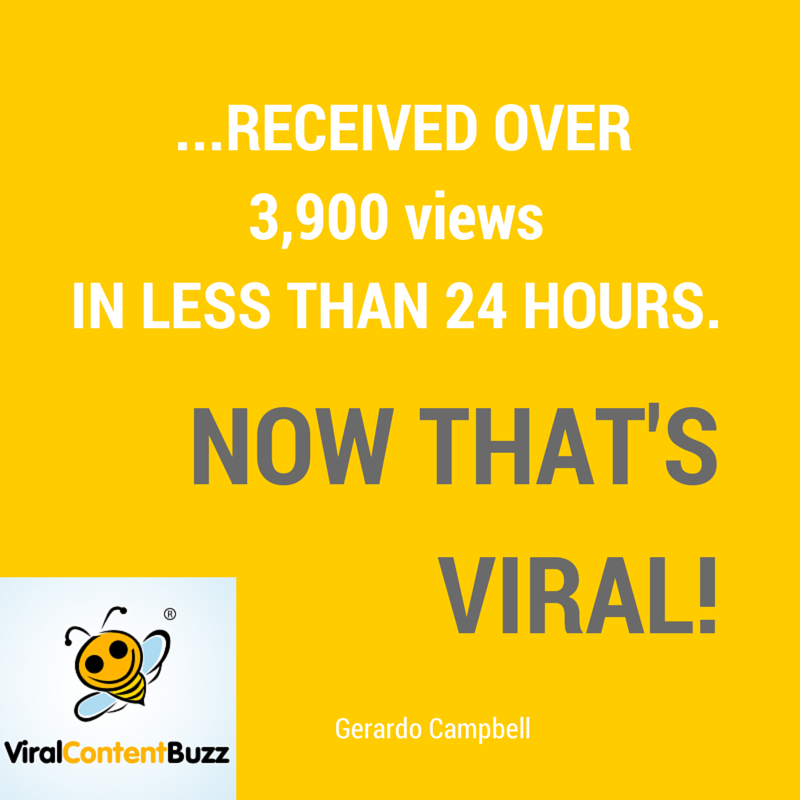 Viral Content Buzz is the most effective platform when it comes getting people promote your content. That’s the most “unintrusive” way to have strangers tweet, share, pin your content without having to personally reach out to anyone. 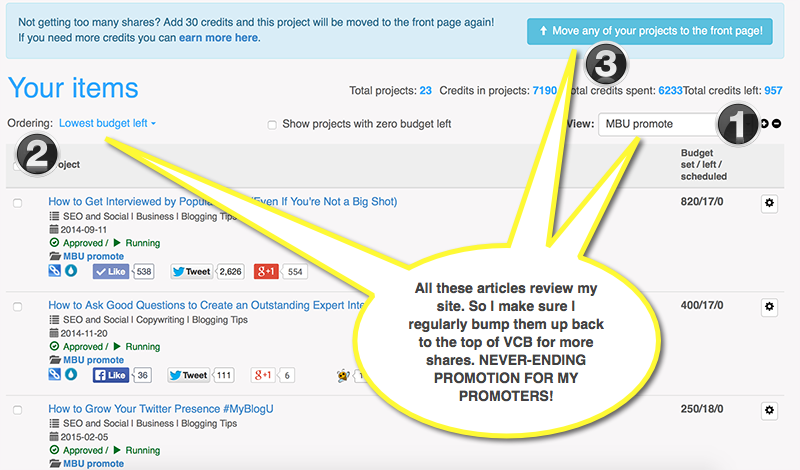 MyBlogU lets you find people who are willing to help you create content. Once you feature your contributors in the article, they become your active promoters sharing the article where they have been featured. 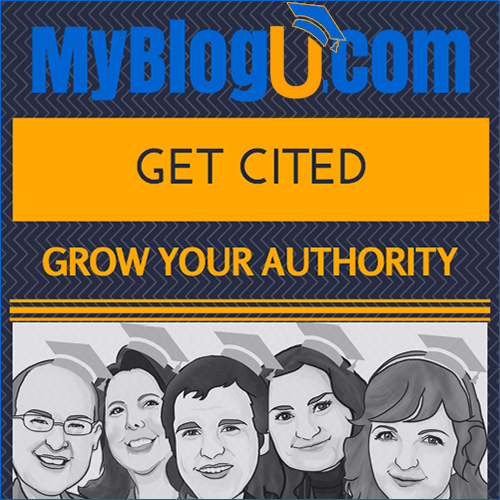 But more than that, MyBlogU helps you get featured in other bloggers’ articles and thus it creates assets which you can link to (from your portfolio, resume, etc etc) as well as actively promote on social media. 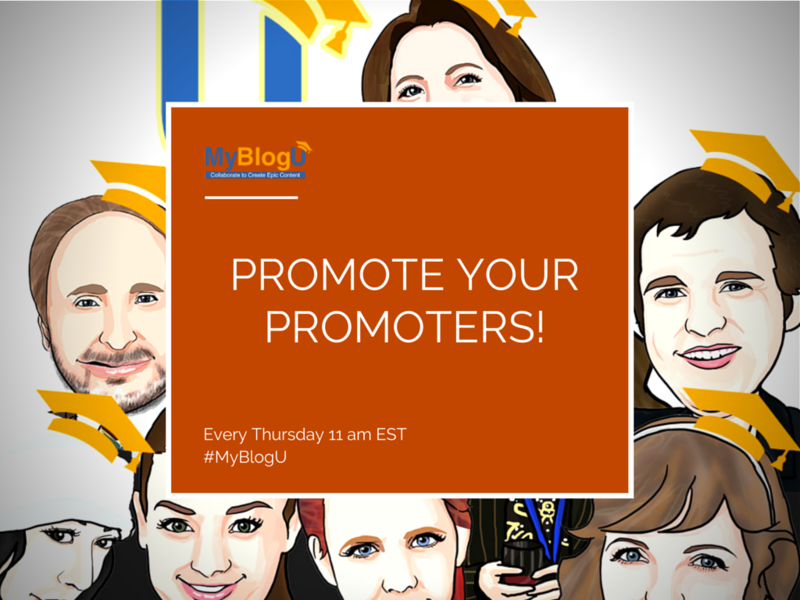 How are you promoting your promoters? Share your tips! Great article, as usual. Thanks, Ann. Thanks for stopping by to comment, Michael! This is amazing! I will make sure to check this out! Thanks for letting me know Ann!